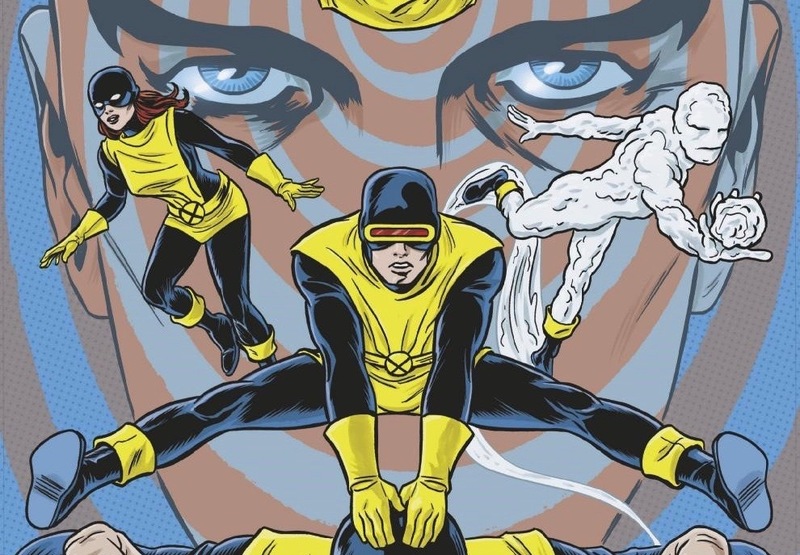 See how Cullen Bunn pays tribute to the wedding of Cyclops and Jean Grey in X-Men Blue #36 [Spoilers] – AiPT! The final issue of X-Men Blue features an uneXpected nod to the classic X-Men #30. Long before Cullen Bunn was writing the X-Men, he was a fan of Marvel’s mighty mutants, as he admitted to AiPT! in a 2017 interview. With this week’s X-Men Blue #36, Bunn brings his terrific run to a close–with a fun nod to one of the most memorable scenes from X-Men #30–the wedding of Scott Summers and Jean Grey. No, the time-displaced Cyclops and Marvel Girl don’t run away to Las Vegas and get married before they return to their own time. But there are spoilers ahead, so if you haven’t read X-Men Blue #36 yet–do that, read AiPT!’s review of it (of course), then come back here! ..before he’s interrupted by a boot from none other than Wolverine, who decided not to attend the wedding (for obvious reasons). …before a certain Sebastian Shaw (in full creeper mode) decides now is the time to indirectly get revenge on Scott and Jean’s former mentor Magneto by disrupting the pair’s happy moment. That is, until a Poison-possessed Jimmy Hudson–the son of the Ultimate Universe’s Wolverine–delivers a very familiar message. A pretty fun homage to a classic X-Men moment, isn’t it? Nods like these to the X-Men’s often intimidating continuity is what made X-Men Blue such a joy to read each and every month. Also, become friends with a member of the Wolverine family, I guess. Apparently, they’ve always got your back, bub.